Short Info:- The Punjab National Bank (PNB) has notified all by releasing the PNB Manager, Senior Manager & Officer Recruitment 2019. This recruitment is to fill up the Manager, Senior Manager, Officer posts. The PNB Manager, Senior Manager & Officer Recruitment 2019 consists of a total of 325 posts. Desired candidates can apply for the same. PNB Recruitment 2019 applications will start on 14th February 2019 and will be going till the 2nd March 2019. The time period to applying for the PNB Manager, Senior Manager & Officer Recruitment 2019 is less. Candidates have 15 days to apply for the declared recruitment. So, they must hurry and stay aware of the official announcement. All aspirants are advised to check the PNB Manager, Senior Manager & Officer Official Notification 2019. Check all the requirement and criteria before applying for this recruitment. All the information regarding the PNB Recruitment 2019 is available on the official website i.e. www.pnbindia.in. 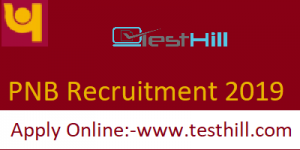 Punjab National Bank (PNB) Manager, Senior Manager & Officer Recruitment 2019 have started on 14th February 2019. Applicants need to apply before the 2nd March 2019 .i.e. the last date to apply for this recruitment. Candidate can not able to apply in case of crossing the last date, as the official portal will be closed after the due date of submission. Applied candidates can check the PNB Manager, Senior Manager & Officer Official Notification 2019 in order to check all the required criteria such as age relaxation, educational qualification. Also, they can check it through this article as well. We have provided all the updated information and link regarding the PNB Manager, Senior Manager & Officer Recruitment 2019 on this page. Candidates should aware of all the tentative dates and schedule of the recruitment. All are advised not to share any personal credential with anyone.